Vag10 is proudly present the first elite competition in Greece. 3-round slalom + head to head challenge for the best 8 men and 4 best women who will compete for the Cash Prize. The competition will take place at the Kaiafas lake, site of the ’97 Europeans and training centre often visited by some of the world’s top skiers. 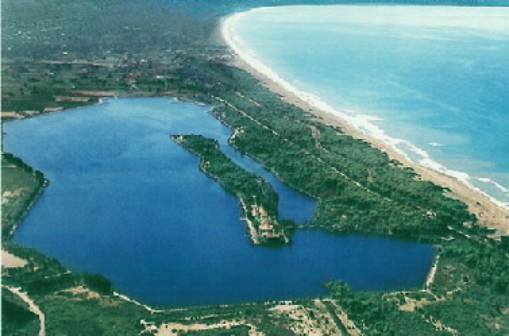 The natural channel creates an amazing slalom arena surrounded by trees and glass water that will fire you up for best results. The main event will accommodate many other special events where all the skiers and the ski enthusiasts will be part of it. We are happy to announce that the KAIAFAS INTERNATIONAL CUP 2005 will be covered live by SUPER SPORT, the country’s premier sports television channel and MEN’S HEALTH, the official magazine of the competition, will setup a photo shoot at the site for the elite skiers!!!!!!! For those who want to, you may schedule a training set at the ski site before the competition. 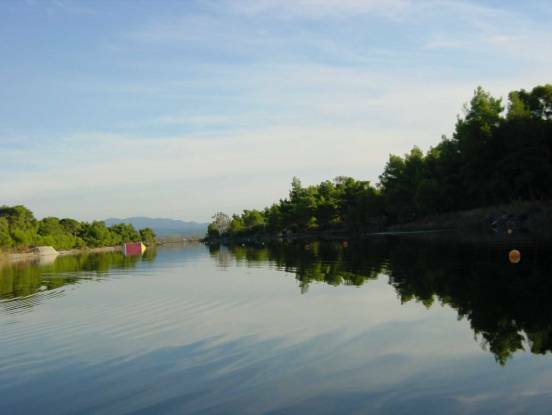 It is also a great opportunity to visit Ancient Olympia (birthplace of the Olympic Games), located 15 km from the lake, spend some time at the beautiful sandy beach, a 5-minute walk from the lake and enjoy the great food offered by family-run restaurants in the vicinity. A two-day fiesta of events and closing beach-party on Sunday night. DO NOT MISS IT !!!! !